‘Empire’ star Taraji P. Henson says Jussie Smollett will return to their Fox show amid news that the actor will be sued by the city of Chicago. Henson directly answered one of the many questions looming over her beleaguered co-star when she appeared April 4 on ABC’s ‘The View’ to promote the show and talk about mental health and pay inequality. The musical drama is wrapping up its fifth season, but has yet to be renewed for a sixth. 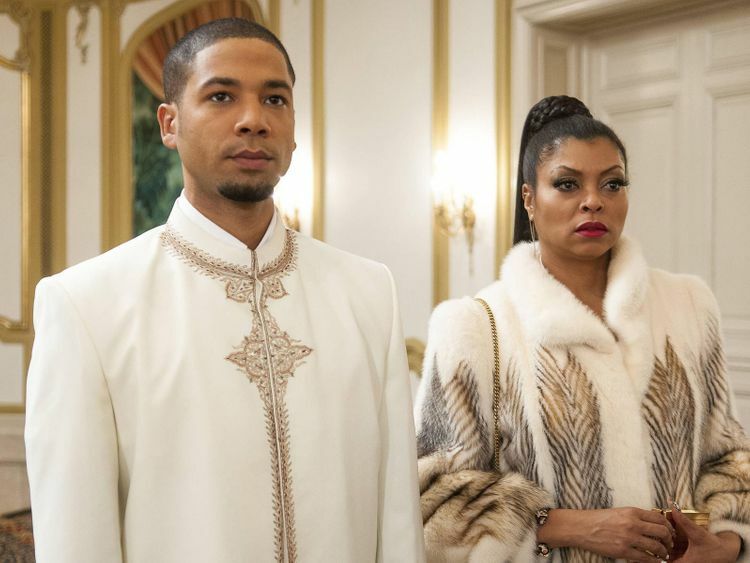 Henson plays matriarch Cookie Lyon and Smollett plays her son, Jamal. “I talk to Jussie all the time and he’s doing well. We’re all doing well. The show is doing well. We’re on hiatus right now,” Henson said on ‘The View’. Smollett’s future on the series has been in limbo since he was accused of staging a racial and homophobic attack against himself and lying to police about it. The charges against the actor were dropped last week, but he now owes the city of Chicago $130,000 for the investigation. The deadline to pay was up on April 4. But the actor refused to reimburse the city, prompting Chicago authorities to draft a civil complaint and sue Smollett in Cook County Civil Court. Showrunners initially had him written off of the last two episodes of Season 5 “to avoid further disruption on set,” but have not indicated how the series will proceed as the charges being dropped renewed public scrutiny of the actor and his case. If Henson is to be believed, a Season 6 renewal seems likely despite the show’s decline in ratings. The Walt Disney’s Co.’s acquisition of much of 21st Century Fox this month further muddied the waters, according to Variety, as it’s now up to Disney to decide Smollett and the show’s fate.